The fully automated pharmacy of the future is here today. As pharmacies work to remain profitable in an increasingly competitive environment, automation of the entire dispensing process is becoming all the more common. 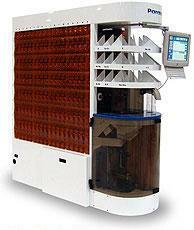 New systems and robotic equipment are the latest drivers of pharmacy efficiency. 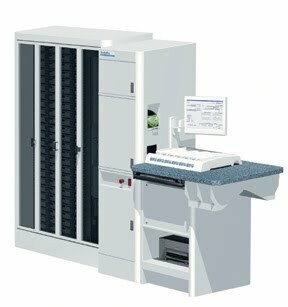 These new systems help manage operating costs over time as well as open new markets for the modern pharmacy. 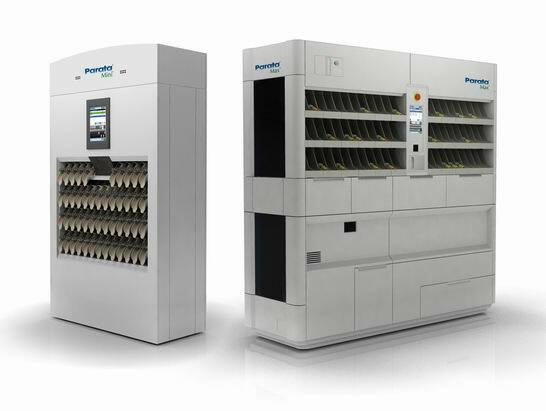 It is indeed possible to increase dispensing volume while at the same time increasing safety, accuracy and profitability. 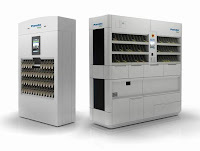 Parata RDS, the industry's leading pharmacy automation, offers a proven strategy for taking your dispensing operation to the next level: it automates 50-65 percent of total prescription volume at six to eight times the productivity of manual filling, and is 100 percent accurate for drug and dose. PharmASSIST solutions are comprised of next generation dispensing technology, award-winning industrial design, and advanced computing power. By incorporating unparalleled quality control and exceptionally versatile functionality, PharmASSIST solutions deliver a wide range of operational, cultural, and customer oriented benefits. Fill prescriptions quickly and accurately with an industry leading counting speed of up to 10 pills per second. Increase accuracy and reduce medication errors with bar-code technology. Small footprint with a modular layout allows the system to fit into any pharmacy regardless of space constraints. Scalable design enables the pharmacy to install additional cabinets as prescription volume grows. Customizable levels of security by procedure and user. Secure prescription retrieval with locked gates and drawers.